Following the creation of a modular exhibition stand for Warner Edwards, we recently designed and built a series of bar units for Fentimans, to ensure that they make an impact at trade shows and exhibitions over the coming year. 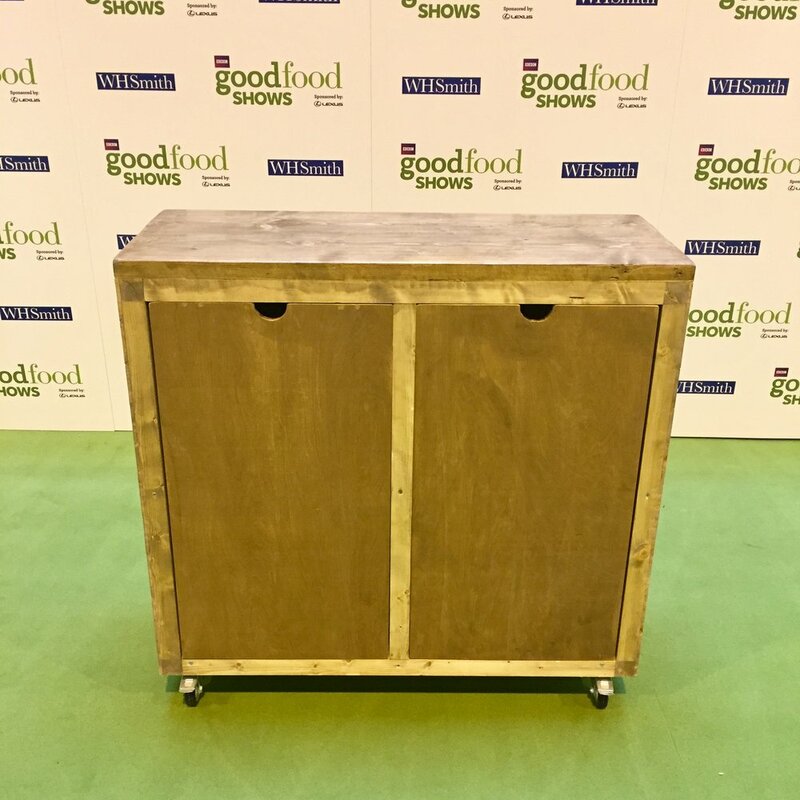 The natural-wood bar units are all 110cm wide, 110cm tall, and 45cm wide with internal shelving and removable doors to conceal contents at events. Highly sanded and varnished boards create a bar top which flows across individual units, meaning these bars create an impactful bar setup at all exhibitions. Each bar unit has solid industrial wheels for maximum mobility and ease of placement, with brakes to fix the bar into position for events. Prominent branding on the front of each unit ensures great presence for Fentimans. The bars are designed to be used all together, or separately, depending on the space available at different events.